In this episode of the Magoosh IELTS podcast, your teacher Eliot Friesen explains how to use four words all related to free time: Hobby, Pastime, Collect, and Outing. 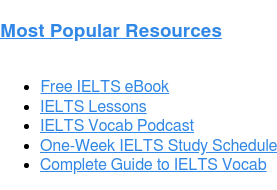 Welcome to the Magoosh IELTS Vocabulary Podcast. This is Lesson 14. In this episode, we will cover 4 words all related to what you may do in your free time: Hobby, Pastime, Collect, and Outing. I’d like to introduce you to your teacher, Eliot. He is the Magoosh IELTS expert and, here’s a fun fact about Eliot: he has small children at home, so he’s forgotten what free time is. 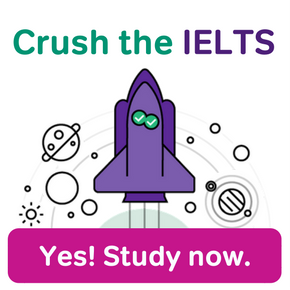 Hello Magoosh IELTS podcast listeners, welcome to today’s show. 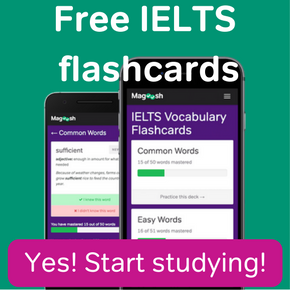 I’m Eliot, the IELTS expert from Magoosh, and it’s true, I’m not sure I remember what it’s like to have free time…but it does sound wonderful! 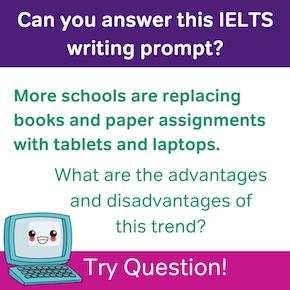 So today, we’re going to look at four words that are going to help you during the speaking portions of your IELTS exam. The theme for the words in today’s episode is free time, and words we might use to describe the things that people use their free time to do. Okay, hobby is the first word on the list. So let’s start with that one. Hobby, what does it mean? Well, a hobby is a specific activity that someone regularly does for fun in their spare time. A hobby is a leisure activity. To help understand what a hobby is, let’s look at the ways that a hobby is different from a job. Okay, so a job is a position of employment, where someone is paid to do something by someone else. But a hobby is an unpaid activity which a person regularly does for relaxation or pleasure. For example, someone may have a job as a dentist — this is the work for which they are paid — but in their free time, when they are not at work, they may also have the hobby of gardening. They are not paid to garden; they’re just doing it for fun. The next word is pastime. A pastime is an activity done for enjoyment, to pass the time. Sounds a lot like a hobby, doesn’t it? On the IELTS you should be able to use the words hobby and pastime interchangeably, but there are a few subtle differences between these two words, which you may still want to know. So let’s revisit the word hobby. A hobby is a specific activity that you enjoy and do often in your free time. For example you could have the hobbies of ice skating and watercolor painting. When you have free time, you might work on your hobbies, and get better at them. A pastime is more like something you do to pass the time when you have nothing else to do. It’s not necessarily a specific skill or activity that you’re working on, like a hobby would be. Pastimes are typically less skill-based activities than hobbies, so things like watching TV or reading. The next word is collect. So what does collect mean? Well, collecting is a hobby in which someone purchases and keeps a certain kind of thing. So to collect things is to gather them together. People who collect as a hobby will find and keep certain types of things that they like. For example, someone might collect seashells, or comic books, or rare coins. So when someone is collecting a thing — let’s say they’re collecting stamps — as a hobby, that means that over a period of time they will be gathering together a large number of stamps from different places, because stamps interest them. The final word today is outing. An outing is a planned activity, done outside the home for fun, with other people. An outing is a trip, but it’s typically a trip that lasts for only a day or less. So an outing is a short trip, taken for pleasure or entertainment. For example, over the weekend your family might go on an outing to the beach for the afternoon. Now let’s say your family decides to camp at the beach for several days. Your visit to the beach would now be considered a “trip” rather than an outing. Outings are sometimes called day trips, because they last a day or less. Some other examples of outings would be a trip to the museum, or a picnic in the park. The “out” part of the word “outing” tells us that you are going outside of your home. So if you spend your Saturday watching movies in your bedroom, this isn’t an outing. But if you get up, leave your house, and go to the local movie theater to watch movies, the word outing could be used to describe what you’re doing: you’re on an outing to the movie theater. Great! 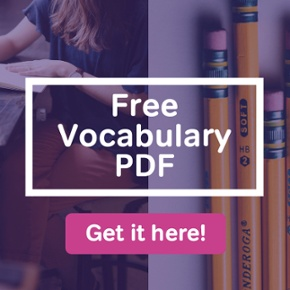 In this episode you learned 4 words related to free time–for more vocabulary, download the full list of vocabulary in the show notes and tune in to the next episode.